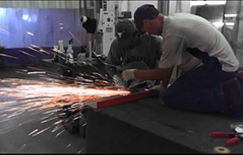 Allied Plate Glass is a family owned and operated business that was established in 1925 and is currently the oldest glass house in its region. We serve both the residential and commercial needs of West Virginia, Ohio, and Pennsylvania, and we pride ourselves in maintaining the highest standards of service for each of our customers. 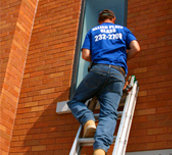 Glass and mirror fabrication, residential window and screen repair, custom glass shower enclosures, acrylics and polycarbonates, heat resistent and saftey glass, and patterned glass are just a few of the products and services we offer. You can see our complete line of products and talk to us about your specific needs when you visit our showroom at 2154 Main Street in Wheeling, WV, or feel free to call us at 304-232-2700. Involved as Responsible Citizens within our Community. This section is still being created. Thank You for your patience. 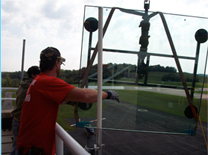 Allied Plate Glass is located on the corner of Main & 22nd Street in downtown Wheeling. We are in close proximity to all of Wheeling's Historic Centre Market, including Colman's Fish Market, Saseen's Restaurant, Centre Cup Coffee, and numerous antique shops.